This Glossary has its origins in adolescent readings of Lin Yutang (林語堂, 1895-1976), the not uncontroversial essayist, editor and translator. In The Importance of Living (1938), Lin included a critical vocabulary of key Chinese terms which he hoped would help elucidate certain aesthetic concepts discussed in the book. As a bilingual writer of great talent, Lin knew all too well the fraught nature of translating ideas, words and sentiments across cultures. Other works, such as those of Jacques Gernet (China and the Christian Impact: A Conflict of Cultures; originally published as Chine et christianisme: action et reaction, 1982) and Pierre Ryckmans (in particular his translation of and commentary on Shitao’s 石濤 Hua Yulu 畫語錄, Les propos sur la peinture du moine Citrouille-amère, 1970) also form the basis for this glossary, as does the concept of ‘keywords’ both in international scholarship, and as part of attempts by scholars of the Chinese world to deal with vocabularies and clusters of concepts across both time and space. Early attempts in this regard, such as James Dyer Ball’s 1893 Things Chinese: being notes on various subjects connected with China, and more recent au courant endeavours that concentrate on what some call ‘translingual practice’, are also relevant to this evolving undertaking. 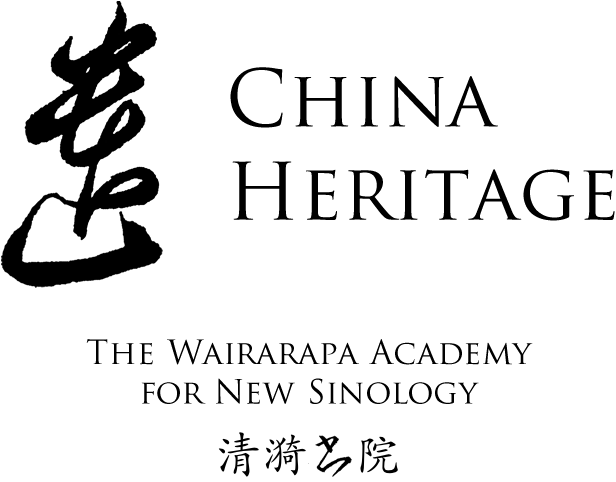 The Glossary builds on the China Heritage Glossary developed for China Heritage Quarterly in 2011-2012, and work on The China Story Glossary, created in 2012. For more on the background to the Glossary, see here. 蘊: What Is and Isn’t Possible?